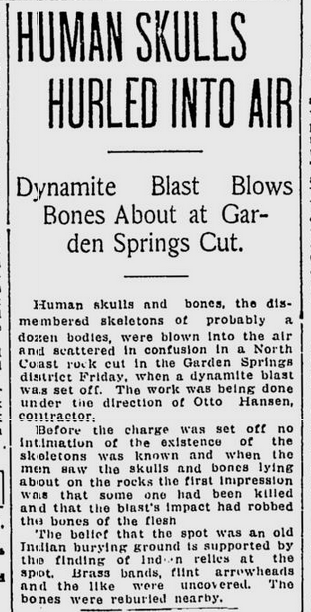 "Human Skulls Hurled Into Air"
The workers, led by Otto Hansen, did rebury the disturbed remains somewhere "nearby." This is admirable, though I wonder if this newspaper article did not serve as a notice to grave robbers who might have disturbed the reburials. The reference to "brass bands" indicates that the graves were likely from the historic period, as natives on the Columbia Plateau did not possess brass before contact (thought they did have some sheet copper, so there is a possibility the graves were precontact). It might be worth carefully reading through the Spokesman, and other Spokane newspapers, for a week or two after this story to find further references. 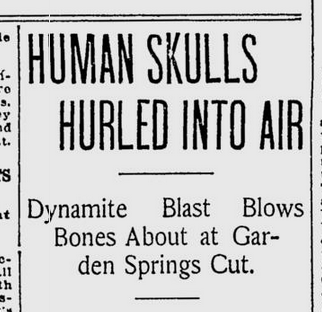 It is tough to wrestle with the Google News Archives. They are difficult to navigate, hard to read, and have surprisingly limited search features. 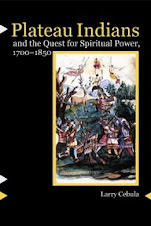 And yet they are an incredible resources for just this sort of illuminating historical nugget. Jensen-Byrd building by Flickr user Terry Bain. 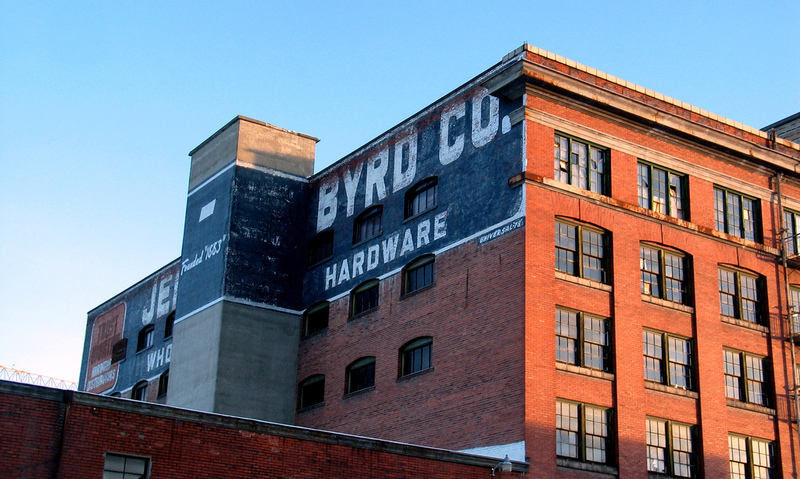 A Texas company cannot move forward with plans to demolish the 103-year-old Jensen-Byrd building in downtown Spokane until after a public hearing next month . . . Spokane Preservation Advocates, a nonprofit group, filed an appeal that prevents the company from moving forward. The appeal argues that Spokane city officials wrongly concluded this spring that tearing down the building has no significant impact on historic resources the city and WSU have said they’re committed to protecting, attorney David Bricklin said. The Spokane Preservation Advocates have done a wonderful job of raising awareness of the value and importance of this historic building. The SPA is no tea-and-crumpets social club, they are fighting preservationists willing to cause a fuss to help our town. What can you do to help? Print off and sign this letter and submit it to the SPA, they will share with it with WSU and the city of Spokane. Fire off an email to WSU President Elson Floyd (presidentsoffice@wsu.edu) and to Chair of the Board of Regents Theodor Baseler (hoytc@wsu.edu) and let them know what you think. Be sure to CC the SPA at spa@spokanepreservation.org. 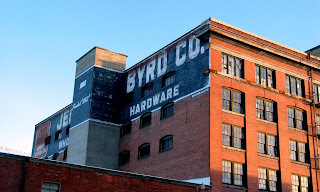 Become a member of the Spokane Preservation Advocates. Membership starts at just $25, and every member gives the SPA more credibility when they speak out in favor of historic preservation. If you are looking for a job in public history this is sort of thing that looks good on your resume, it shows a personal commitment to historic preservation. I am looking at you, EWU students! We might win this one yet. Keep up the pressure! I love this lesson on Reconstruction with toddlers. Via Civil War Memory .